Really happy I managed to bag a copy of this superlimited slice of vinyl-pie, on which Kenji Takimi (of Being Borings fame) teams up with the House Mannequin crew and drops a killer edit of what sounds like a cover of Exile's 'I Wanna Kiss You All Over'. It's a one-sided, handstamped and hand-numbered affair, only 400 copies were pressed up and only 100 are sold in Europe, the rest is exclusive to Japan. I'm actually not a fan of one-side vinyl at all (bit of a pisstake really), and I'm not too big on the handstamping craze either but I gladly made an exception in this case and raided my daughter's piggy bank for nr. 364 out of 400. 'To Tonight' the tune is called and it's a 7 minute choppy stomper of a beatdown disco track. Crunchy, driving drums get things going, looped strings make sure the tension remains tight throughout the track, choppy Parrish-style vocals are dropped left and right and Takimi has conjured up some mean drops and breaks to top it all off. It all sounds very raw and cut 'n paste (drifts like crazy too) but that only adds to the magic here. It's basically a mad and relentless peaktime bomb that will have people stomp their feet, stick their arms in the air and go 'whooooo'. In a good way that is. Oye Records in Berlin have a few copies of this left, get one now before you find yourself trying to communicate with a friendly soul in the land of the rising sun and paying silly money for shipping from Japan. This is a heater sure to stay in a work bag for sometime. Dane hipped me to the Mannequin series. Those seem full of fire too. So they're a "crew" of folks? House Mannequin is Akira Hawkes! I personally love Whiskey Disco very much, bringing some solid heat every release! Also this time we could be happy with usual expectations, Midnight City head oncho Vincenzo De Bull delivered this 4-tracks baby that will hit stores this friday 5th October! 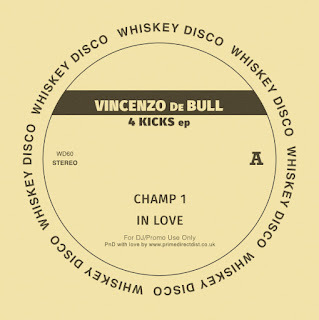 Here at Sleazy B towers we had our peek with “Champ 1”, that kind of affair could flip the dancefloor on a lazy beginning. Had few words with Vincenzo about his sample choice that has a story many of us had already: when you came across an original song containing it and thoughts come back from the past about a record you loved, featuring the same sample: “Faaack I had to do something with it!” he said. Track builds tension very well keeping original’s swing but turning electric as well. We spread our love to Whiskey Disco imprint as back in the days, grab your copy folks! The latest Orange Tree Edits has ripened to fruition and set to drop this Friday, September 7th. Following their tradition of suppling dance floors with world-flavored house and disco reworks, Vol. 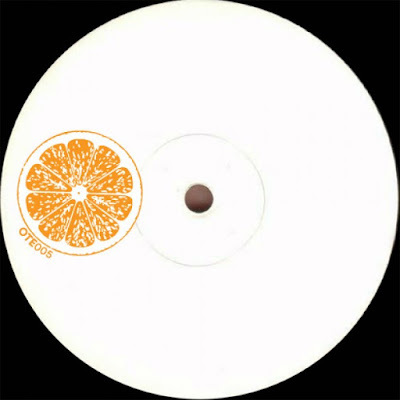 4 of the Afro Edits series comes correct with two cuts...the a-side from label head, Jimmy Rouge (and partner, Santo) with b-side heat supplied by the mysterious, "CC." Some slight detective work may reveal the producer responsible but we'll just leave it as is, shall we? "Para Ti (CC Rework)" is our focus today complete with galloping percussion riffs and filtered samples. It doesn't take long for things to get cookin' as vocal chants heat up the arrangement while jungle nature sounds chirp in the background. From there, the chug builds firmly as we get into a hypnotic groove and the track unfolds...perfect for any daytime disco affair. 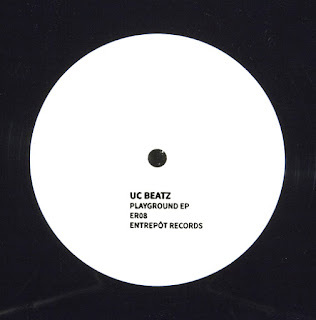 Brussels-based Entrepôt Records are taking it slow and steady this time, as main man UC Beatz returns with the 'Playground' EP, notching up the 8th release on his vinyl-only imprint. The aesthetics are clear: five slow burning tracks with a steady percussive backbone hovering around the 90-95 BPM range, jazzed up with melodic elements gently looped to lure in the listener. On 'Lonely Saturday Night', this looping, combined with the ever fading in and out of the other auditory ingredients, results in a near mantric experience, gradually drawing you deeper into the producer's most mesmerizing mindset. Staying true to their 'no distribution' ethos, pre-orders for the 'Playground' EP can only be found on the label's website.